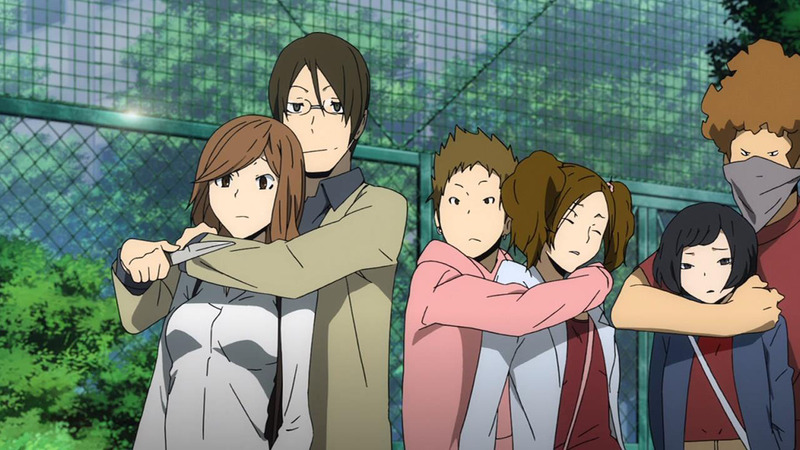 At last, it’s Everybody Fighting Time on Durarara!!. 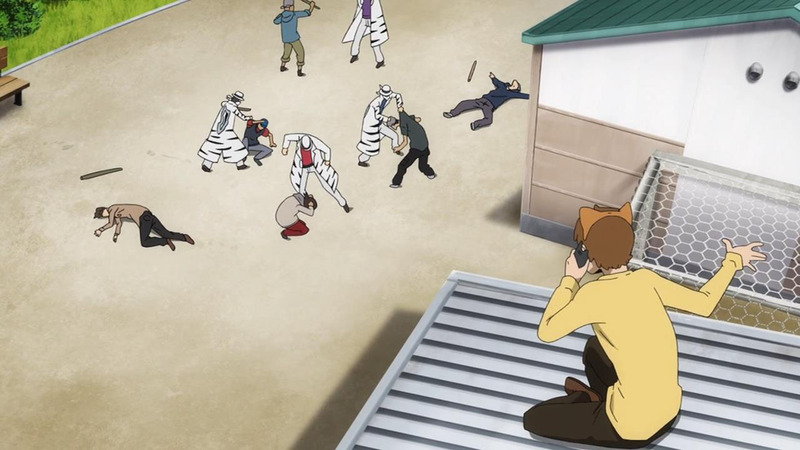 Basically, it’s the payoff episode, where after much anticipation our cast of brawlers finally get to brawling. 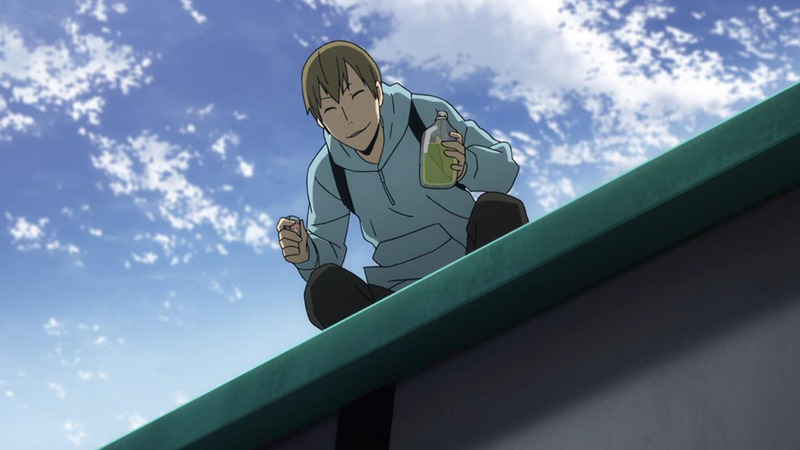 Even Masaomi has charged up long enough and is finally on the move, though by the time he gets here there might not be much for him to except to drop by and take tea. 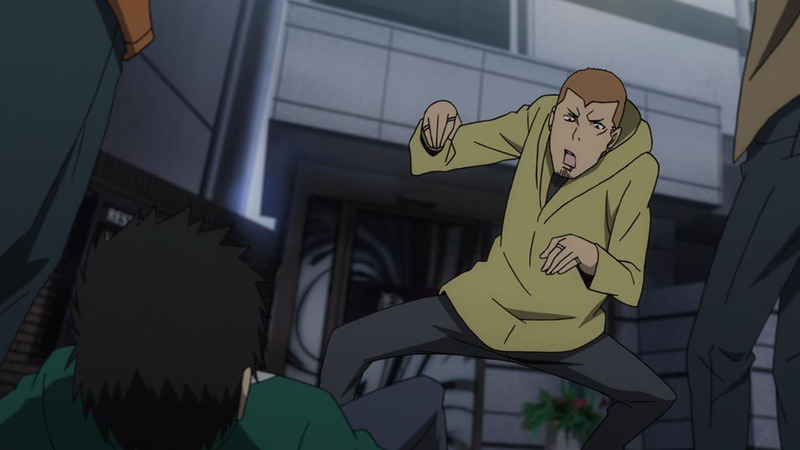 What we get is not exactly a giant Ikebukuro-engulfing superstorm, but it does set a lot of our cast in motion—there are a lot of fights, and many rounds. I’m going to break things up into matchups so we can sort through the chaos systematically. 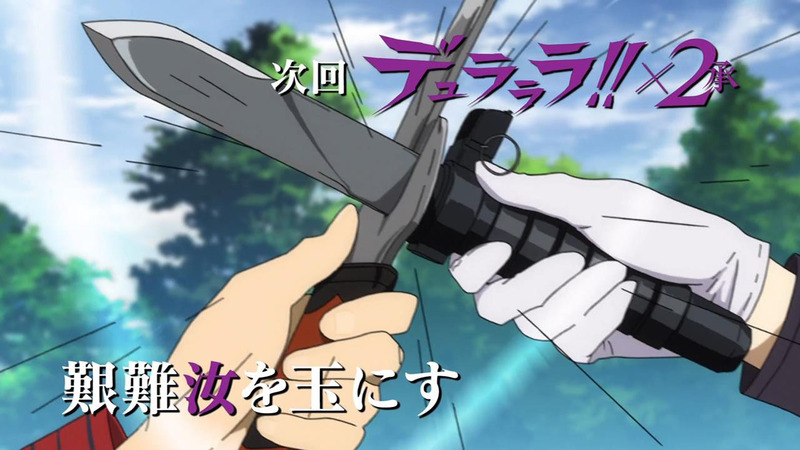 This is the main fight of the episode, or at least the longest one. 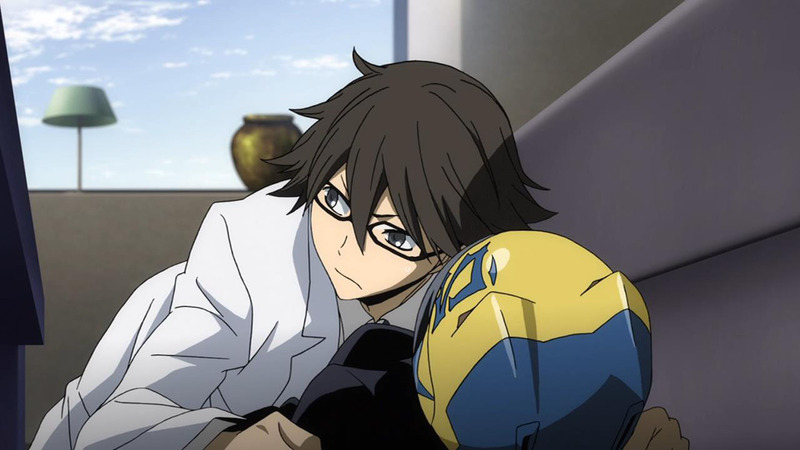 Considering the kind of superhumans Durarara!! usually deals with, it was actually somewhat strange watching two blokes engage in a prolonged bout of plain ol’ fisticuffs. Not that it wasn’t a ridiculous fight anyway—I mean, who uses flying kicks in real fights, especially to intercept another flying kick? 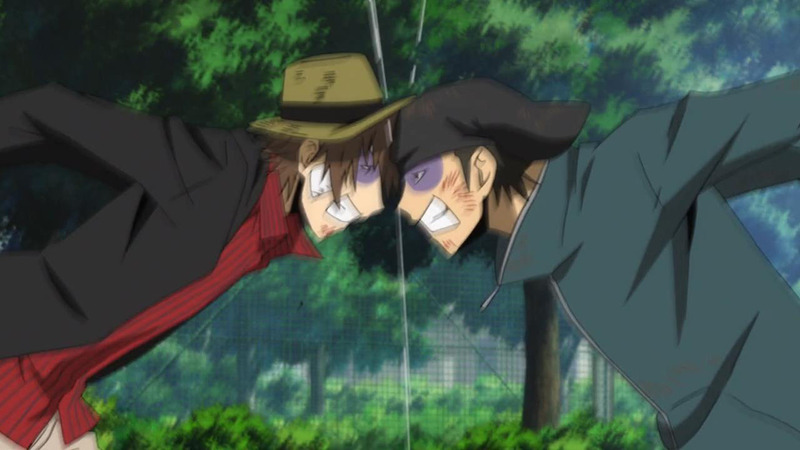 I was actually half expecting (and hoping) that the fight would devolve into full parody mode, with the two men slapping each other with large trouts or something, but alas things are settled traditionally. 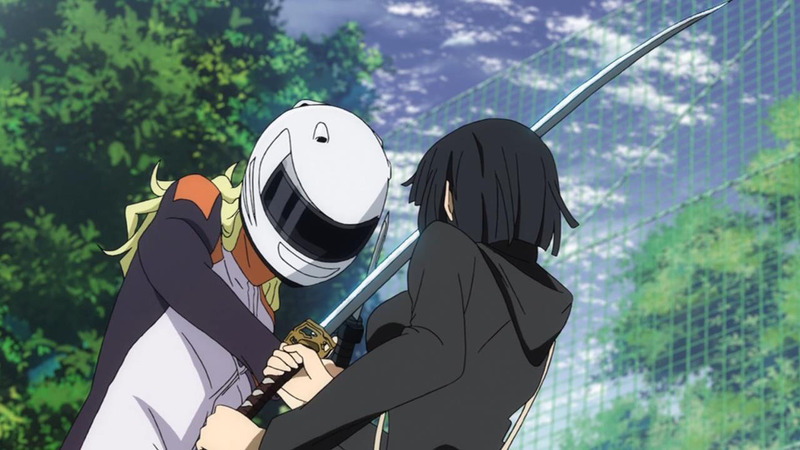 This was actually one of the more significant showdowns of Durarara! !, as far as the narrative goes, since it’s supposed to be Toromaru leader vs the Dollars leader-by-proxy, but it all ends anticlimactically. If they were going to end up making compromises in anyway then perhaps the two of them could have resolved things with a few less broken ribs and a few more teeth. I guess men need to beat the testosterone out of each other before they can talk. 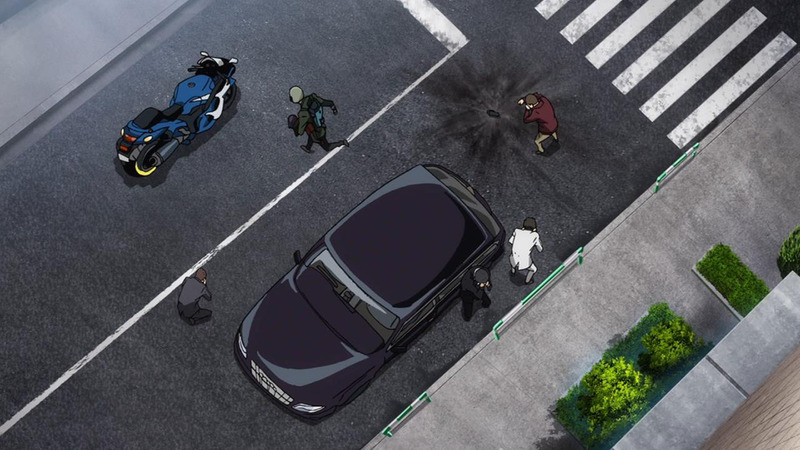 The yakuza have had a pretty poor showing this season, losing mooks, failing to catch suspects, and generally lacking success in all fields. 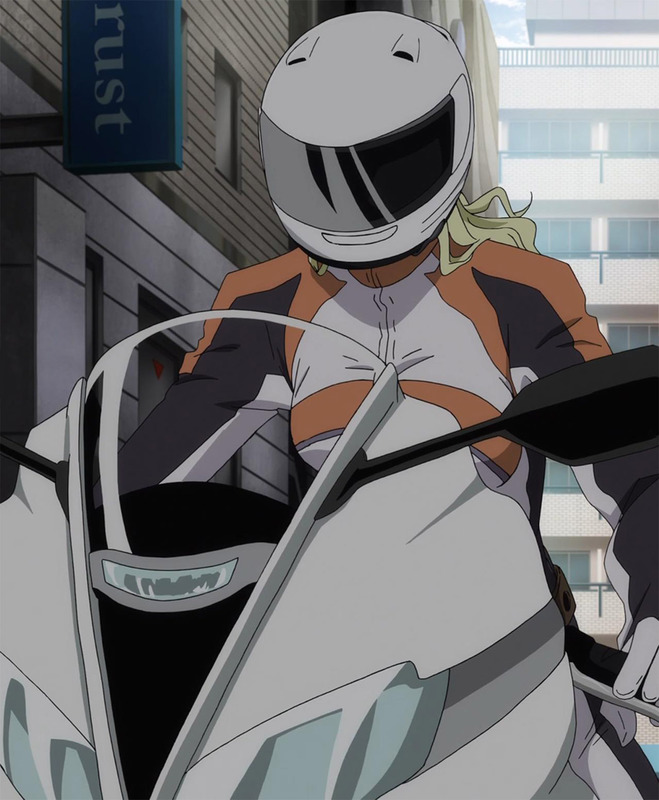 And the moment Celty releases Akane back into their custody, they lose her. 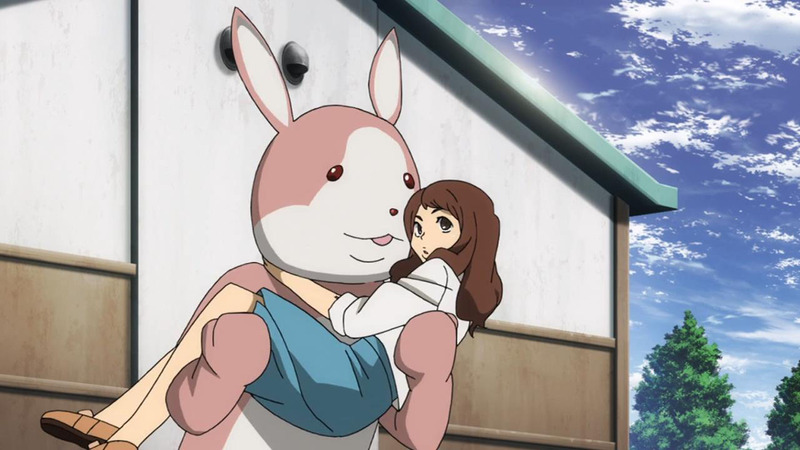 Poor Akane, still being passed around like a bowl of chips. I hesitate to describe her as a normal girl caught up in other peoples’ messes, because while she is a good kid, ‘normal’ isn’t exactly right. It takes a unique kind of thinking to surmise that the proper response to a hitman going after your family is to kill him first. 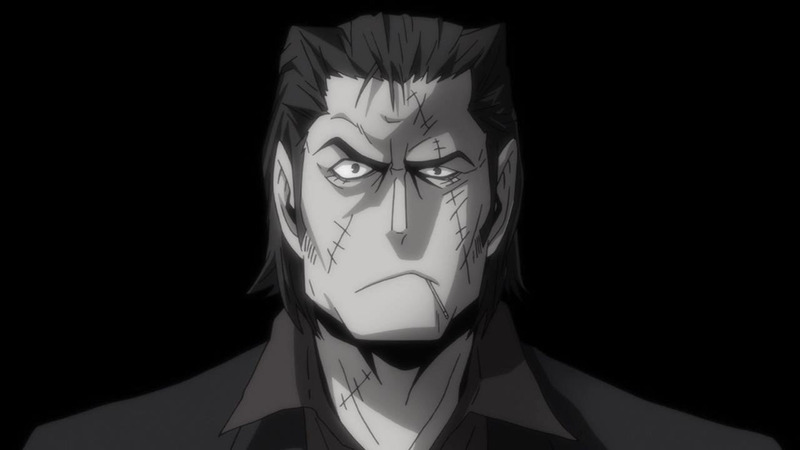 No matter her upbringing, it seems Akane is a born yakuza. 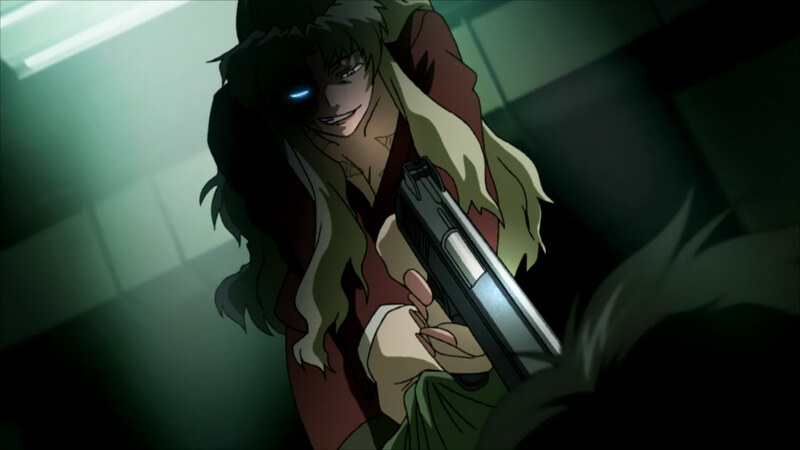 Meanwhile, nobody really knows that there are Russians about conducting sabotage, leaving Va/orona free to have a go at killing Anri again, though considering how well that went last time I’m surprised she’s still trying to melee her. The anti-materiel rifle would probably have done better. 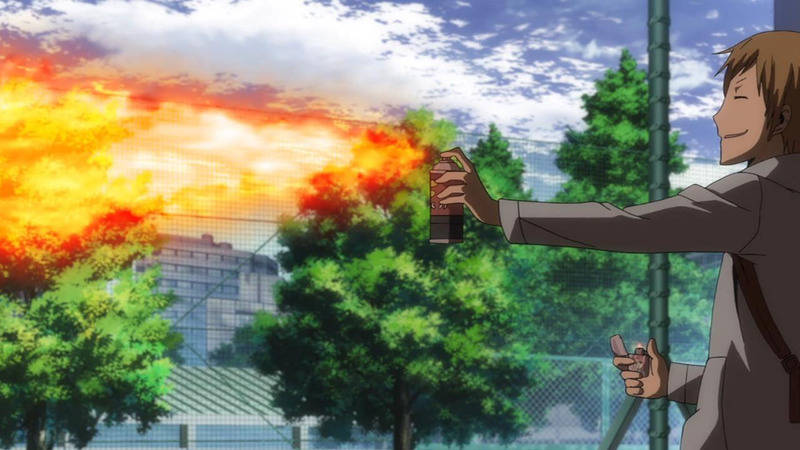 Though I guess our Russian assassins had no way of knowing that Anri can somehow resist flashbangs, because red eyes or something. Well, swords don’t have eyes; who knows how Saika sees. 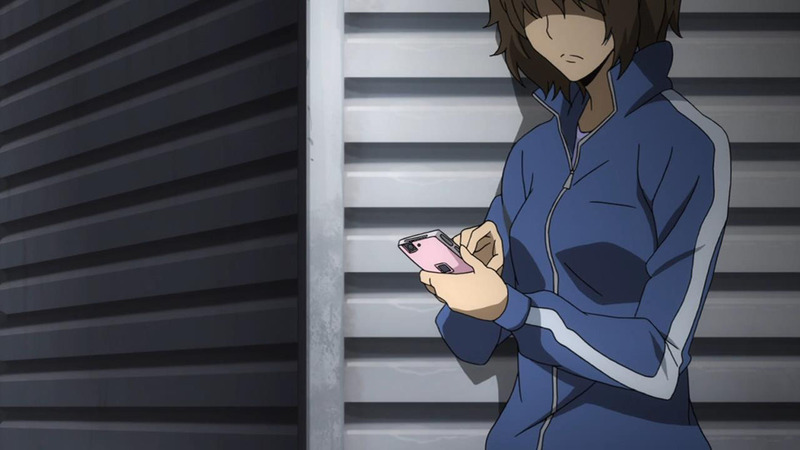 More interesting is how Anri still calls herself a parasite, though surely she can be promoted to at least ‘symbiote’ by now, considering how she’s actively protecting her host. Or some metaphor like that. It’s not like your tapeworm will fight hooligans for you. Ungrateful invertebrates. It’s hard to call the Dollars its own organisation anymore, since it seems that every other person is a Dollars. Even the yakuza are in the Dollars (but, funnily enough, none of the police or any other sort of legal authority). Even the Freemasons, the least secret secret organisation, has membership rules. If your membership subset is ‘everybody’ with neither rules nor allegiences, then you’re not really a discrete group, are you? It’s only to be expected that members of Dollars form groups themselves, and only really identify with the Dollars franchise when convenient. 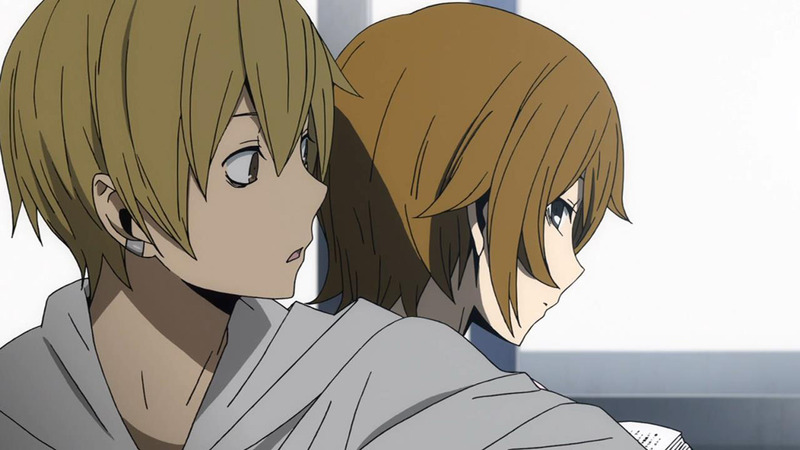 We’ve got the kidnappers, which seems to be a collection of all of Durarara! !‘s small-time villains of no significance. I’m surprised they’re all still around, actually. Considering all the poor life choices they’ve made, I guess they’re actually a rather fortunate lot. Fortunate, but still pathetic. This time, they’re beaten by a cavalcade of Dollars cameos and crazy people, though I guess one should never underestimate crazy people. The point is, with random Dollars having to reign in other random Dollars it’s just anarchy out there. You might as well take all the Twitter users and call them a colour gang. No, hashtivism doesn’t count. Stop that. 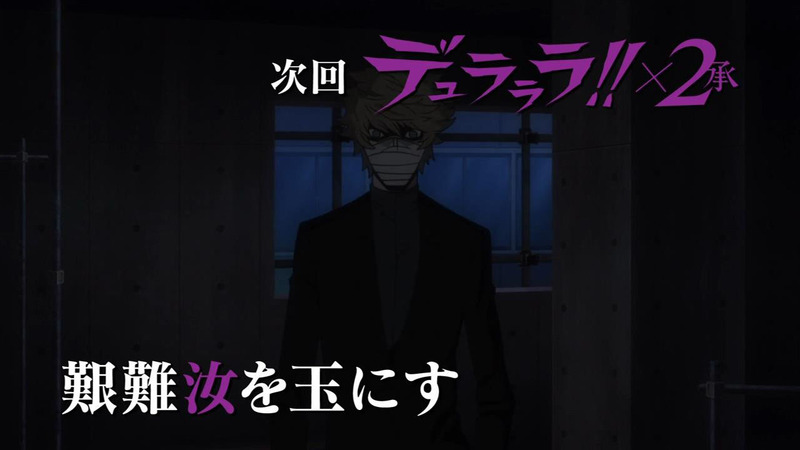 Shizuo enters, which means it’s about time for us to wrap the fight up. The whole gang on gang stuff will probably forcibly settle down, and those still raring to go will have to change partners next week. And even the Russians may not be able to stay for long; their parents are here to pick them up. Conspiracies still abound though, which will probably have to be saved for next season. 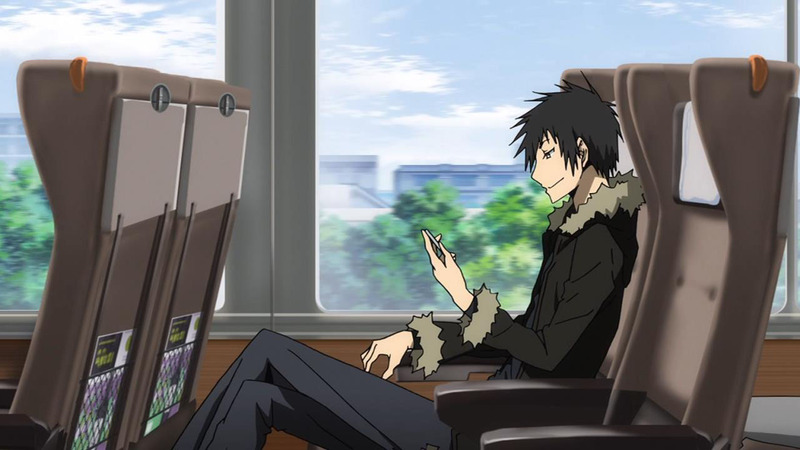 Of note, Shinra raised the possibility that someone could be masquerading as Izaya, but who would do an Izaya impression other than Izaya himself. I can think of one guy, perhaps with help from a certain disloyal secretary. 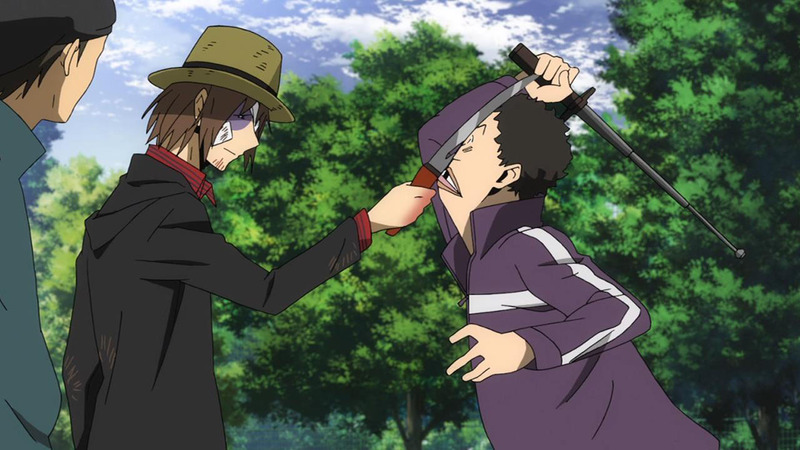 Messing with Izaya is a dangerous game, though, so I hope whomever it is knows what they are doing. 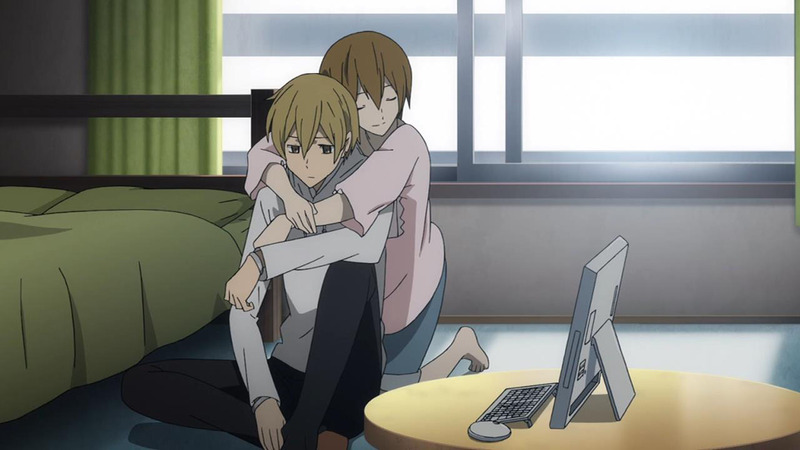 And who’d want to be Izaya, anyway? What a terrible job. And I like bunnies. Disappointment arise. 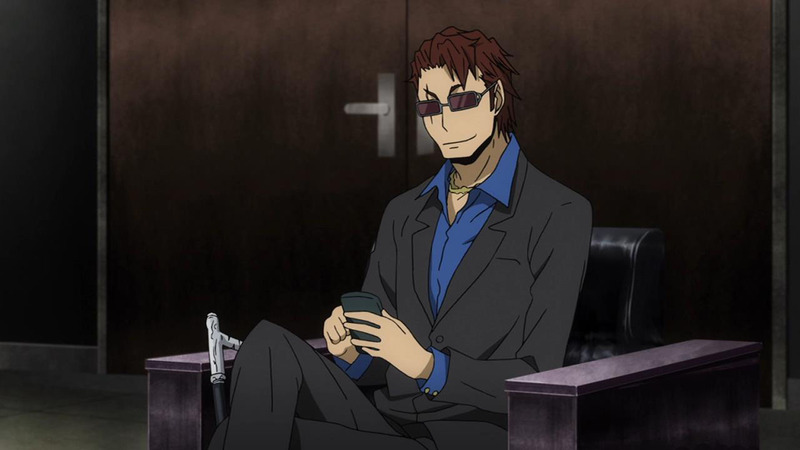 Of note, Shinra raised the possibility that someone could be masquerading as Izaya, but who would do an Izaya impression other than Izaya himself. 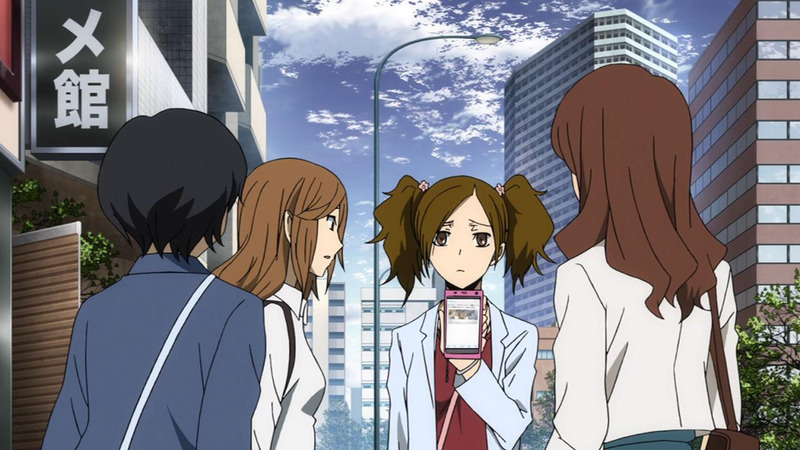 The Shinra that Akane met has a different hair color, and is wearing a chain which I don’t think we’ve seen the actual Shinra wear. There was some discussion about this in last week’s comments, but how that will actually pan out remains uncertain. A gentle reminder for those of you who have read the light novels: please remember to tag and note your spoilers. Thank you. 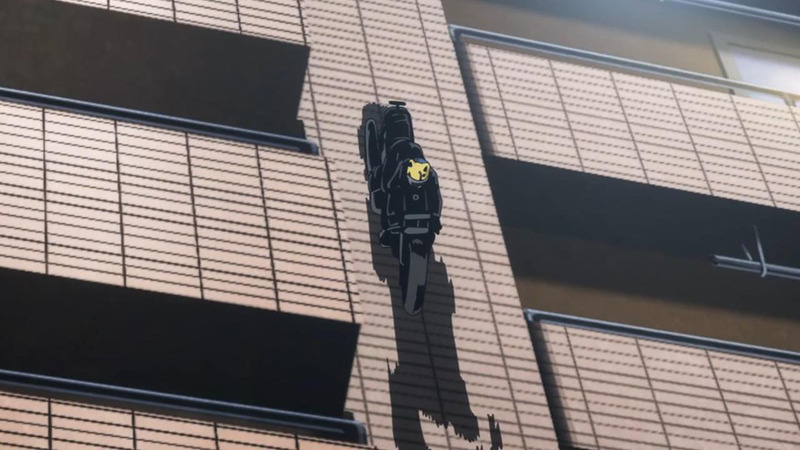 Having read some of the novels I can’t even spoiler this if I wanted to since I’m not sure,so this is just my 2 cents but I believe this is just an animation/graphical error and nothing more sadly which honestly isn’t too surprising. 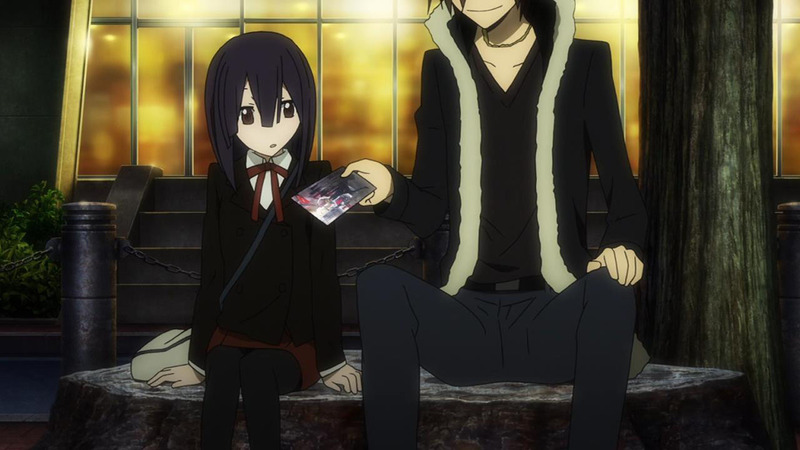 Pretty sure if someone is out to screw with Shizou it would be the actual Izaya since even someone pretending to be him wouldn’t want to mess with Shizou for their own good. The fact he coincidentally gets out of town and away from any backlash seems like it would go along with him causing the issue himself too. You forget that Mikado has a hidden level of badassery himself, but I wouldn’t blame you, since we only really saw it… once? I prefect he’ll let loose again by the next episode too. 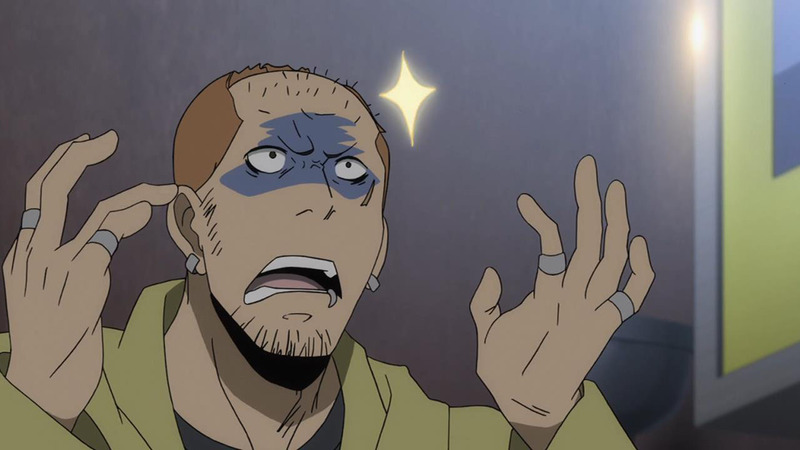 As I noted last week, I was actually expecting Mikado to do something crazy right about now to impress Va/orona, but alas he was disappointingly human for her. I didn’t really mention him this episode because, well, he doesn’t really do much except for sponge damage. Wonderful fun episode. Shizou showing up should end all the fighting if anyone has any brains left. But I hope there is a few brainless left or maybe the Russians considering they not yet have Shizou in their superhero identification book yet. Anri still needs to drag out her hordes of zombies against the Russians to further impress Valorona. 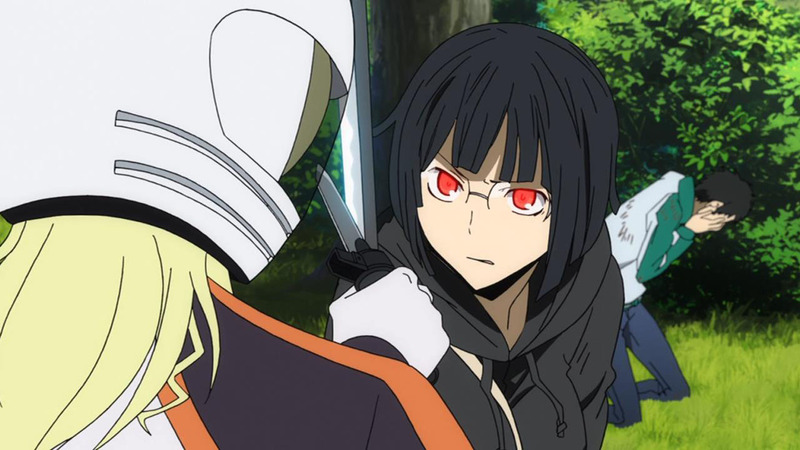 I think Valorona actually want to be cut by Anri so that the reason for the hand to hand. Poor Russian assassin getting cut will not get you dead, just mind controlled probably into becoming a nice member of society. We should get some nice surprises/cliffhangers for the end of the season for sure which I can’t wait for to see everyone’s reactions. 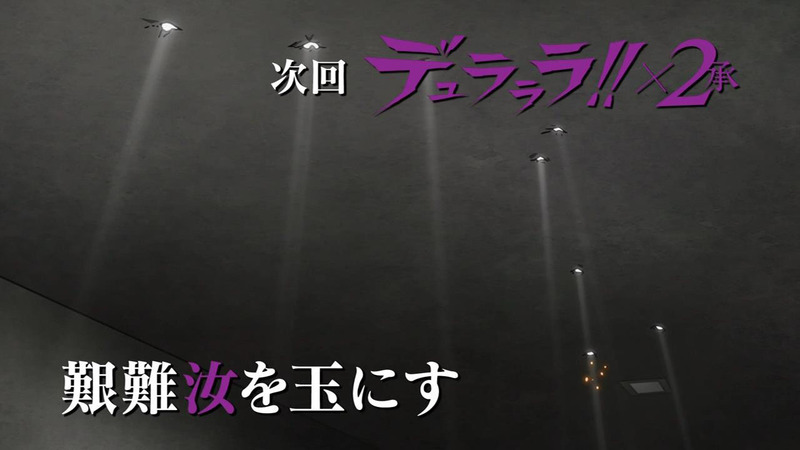 One note about Anri and not being affected by the flash-bang. 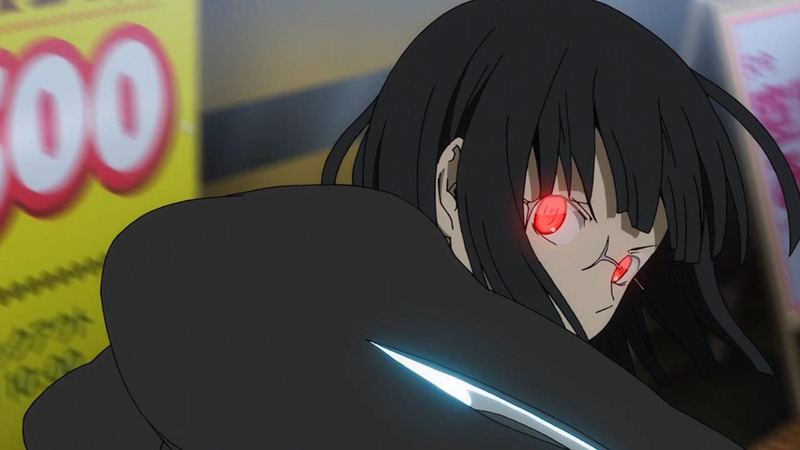 It’s not that she isn’t blinded or can still see normally while blinded but rather that Saika has a sort of 6th sense or instinct and can sense killing intent from others. 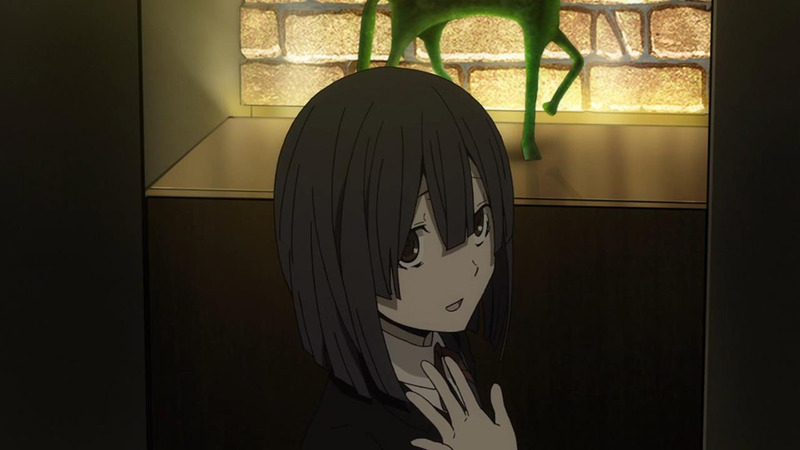 Similar to how she could sense right away that Egor was extremely dangerous as soon as she was near him. 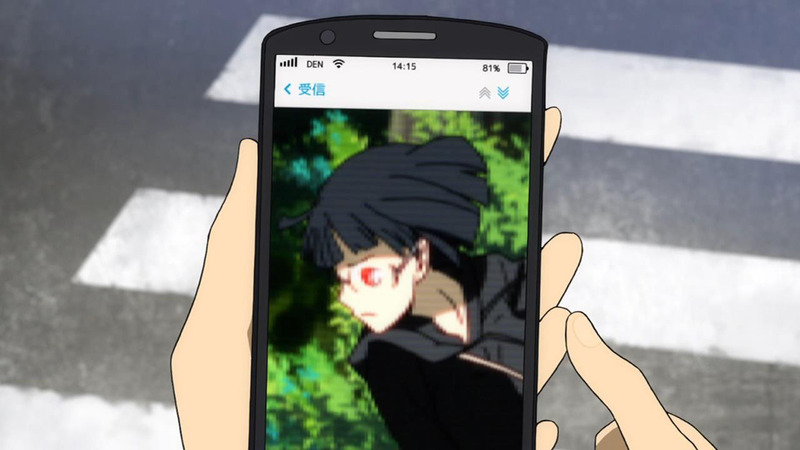 She’s able to use this to “see” if she has to by basically allowing Saika to take over control. Actual aside question if anyone knows. Is there 13 episodes to this season or only 12 because it feels like everything could wrap up in one at this pace but we might get things dragged out I suppose. It’s like 40 something episodes. Yep, two more seasons to go. I assume they’re going 12/12/12 for the episode counts. I don’t even understand why everyone’s fighting. This arc lost me somewhere along the way. - Aoba leads some Blue Square remnants. They join the Dollars. 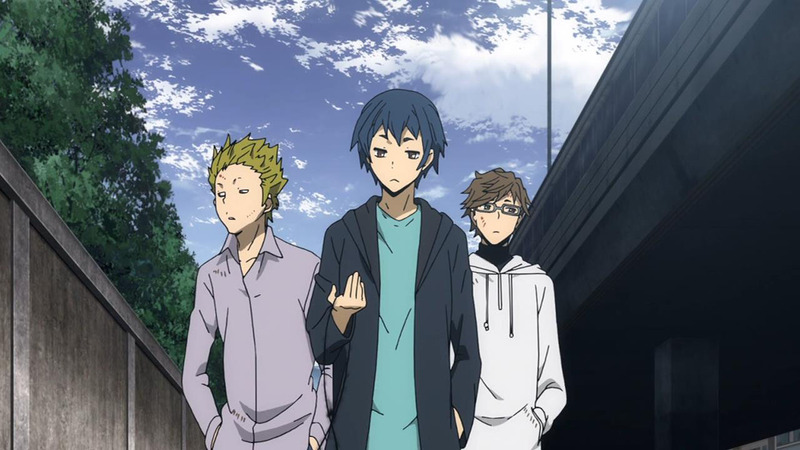 They go to Saitama, and in the name of the Dollars, picks a fight with some biker gang. 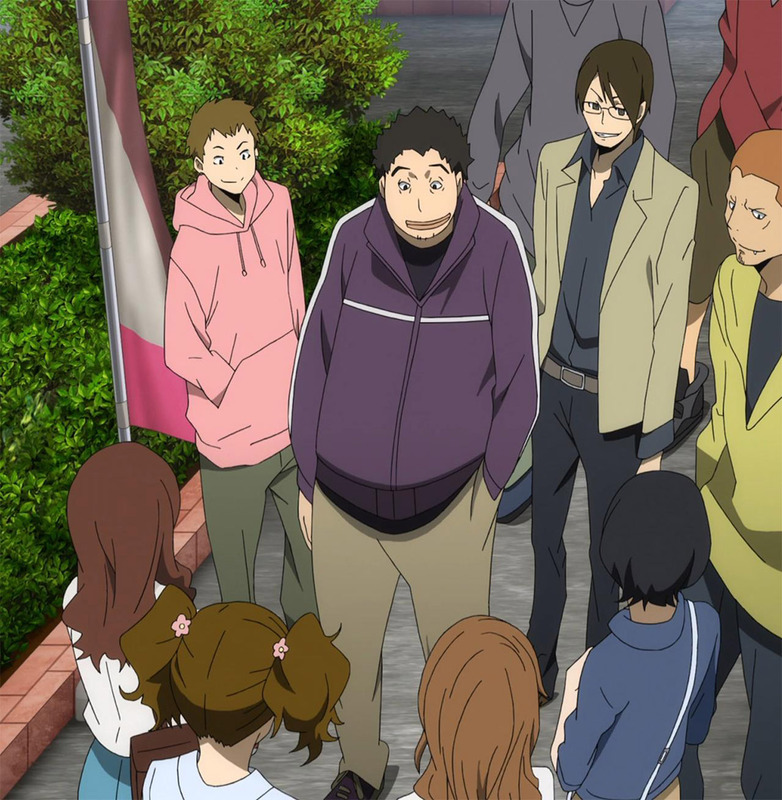 - Chikage takes his biker gang to Ikebukuro to exact revenge. 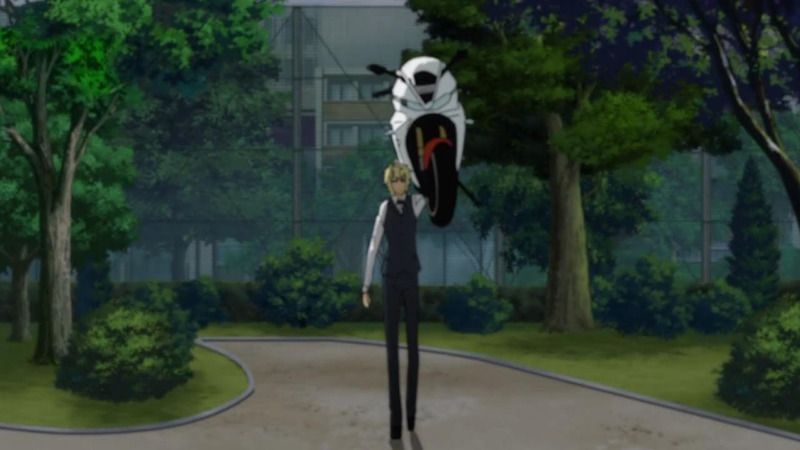 He picks a fight with Shizuo, because he’s supposed to be a Dollars. He loses. 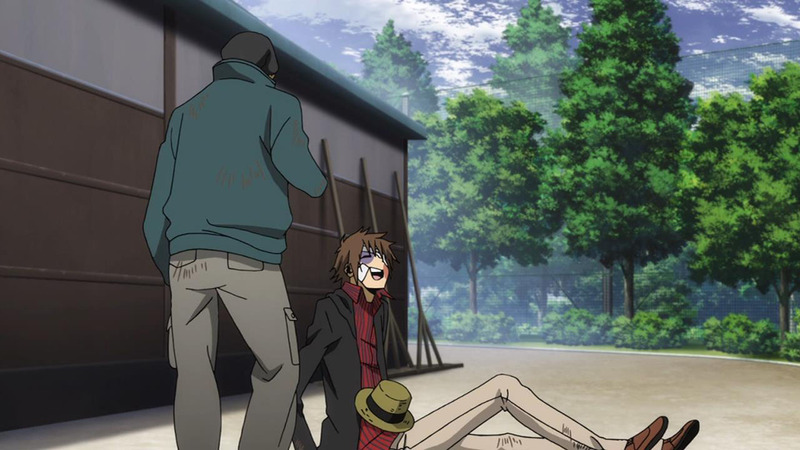 He picks a fight with Kadota, because he’s supposed to be a Dollars. He loses but kinda draws. 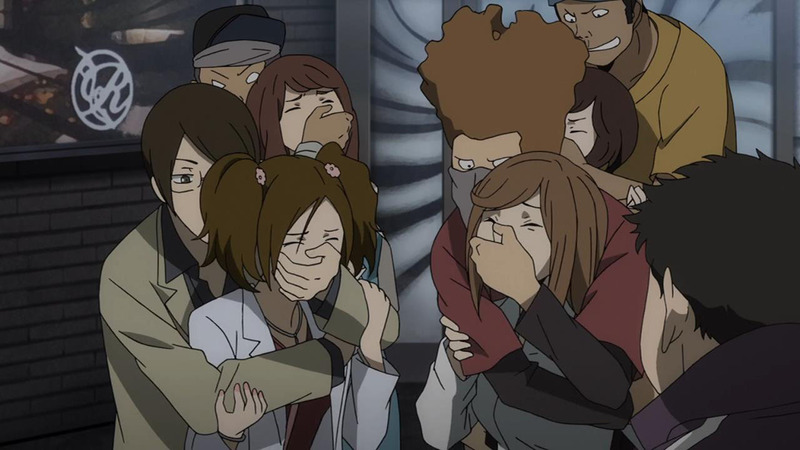 - Meanwhile the Russians were hired to kidnap Akane, incapacitate Anri. Maybe knock off some yakuza? 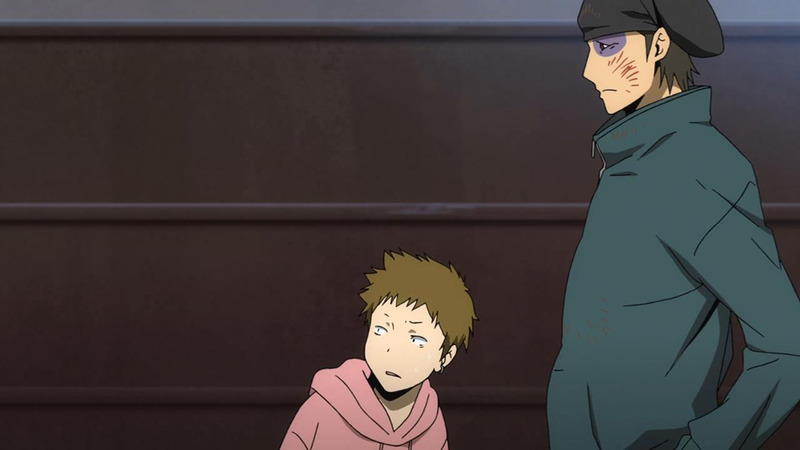 tl;dr: Aoba, Izaya and Russians. 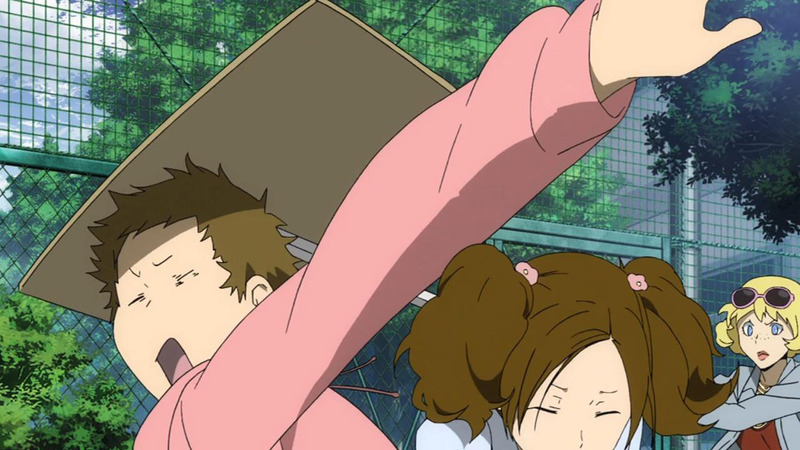 i fail to see a hidden badassness in mikado that everyone said to have. he’s kinda nerdy to be perfectly honest, and completely typical. let me better quote myself, typical american, i mean. i guess that makes him main character worthy in japanese standard. Completely agree here. The first time, with Namie, it was rather impressive, since we, the viewers, didn’t quite see it coming. But ever since then, he’s pretty much been a tool with no real focus. How can a guy with absolutely no motivations other than to live a normal life, despite enjoying being involved with an unusual day-to-day life, be dangerous? 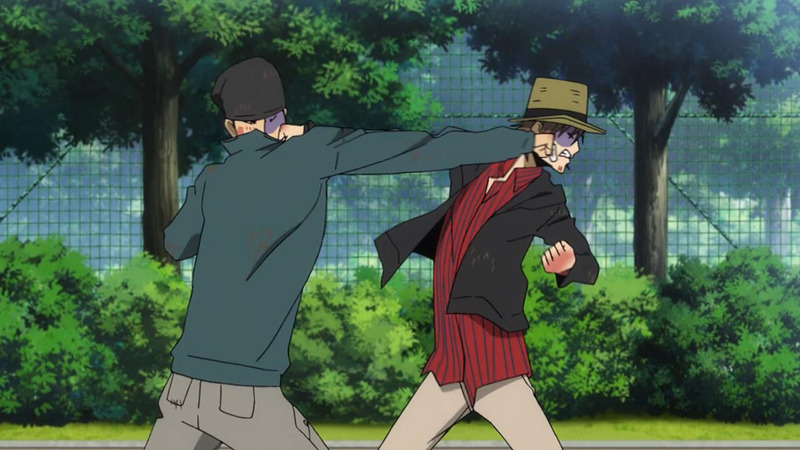 I certainly don’t see it, even before today’s ep where he was nothing but a punching bag. the one and only Balalaika! What is going on with the continued shots of the Kabaddi game going on on the main court? And how is it still going on with all this stuff happening right net to them (the shed isn’t exactly any kind of solid divider)? 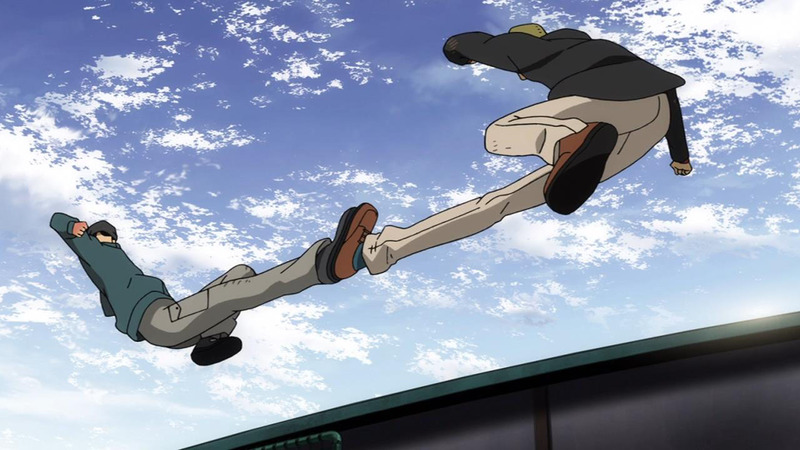 The final Shizou appearance made me feel so excited, can’t wait to see Russian’s reaction fighting hand to hand against him. He’s the true monster.